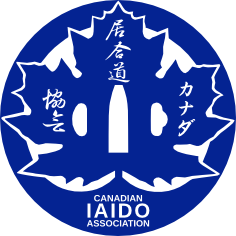 As many CIA practitioners as possible should join the Zen Nippon Iaido Renmei since it will show our commitment to Iaido and the ZNIR, however, each practitioner must be approved by the CIA President or Kansayaku. All persons who want to join the ZNIR must be approved by the CIA President or Kansayaku. Anyone who is testing for a ZNIR Dan or a CIA Kyu level must already be a ZNIR member or join at the time of the test. Joining the ZNIR can be done at any CIA seminar without testing or attending the seminar; people are encouraged to join the ZNIR in preparation for a future test or to show their commitment to the ZNIR.